Shane dives into the main race tracks in Victoria to find out where the bias is. In this series we will be going through the different metropolitan areas to give you descriptions of the unique characteristics of each track, how each track tends to play and the different quirks. 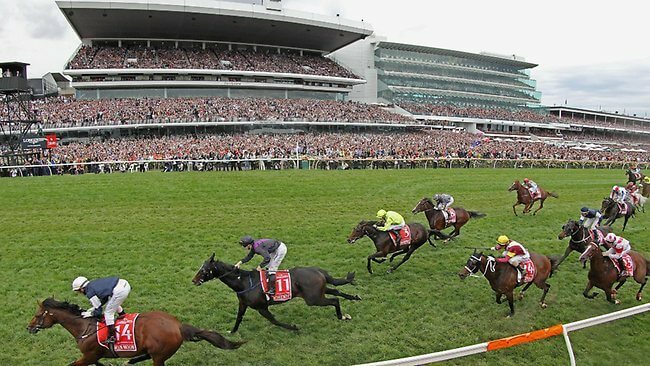 With Flemington, Caulfield and Moonee Valley in the main metropolitan circuit each track has its own characteristics unique to each venue. Hopefully this will give you all a greater knowledge of the Victorian racing tracks and also give you confidence on what to expect from each course next when doing the form. Headquarters for Victorian racing, home to 14 group ones and of course the Melbourne Cup. A spacious course that is 2312m in circumference with a 450m straight and 30m across in width. It is almost shaped as a pear with the long straight being the feature. The other feature is the 1200m straight course chute, the only one in the metropolitan circuits in Australia. Runners here are usually given every chance to find the clear run. The key starting points for mine are the 1400m & 1600m where there is a short straight run then the runners are making a long turning run into the home straight. Getting the runner into a comfortable position is of great importance for these starts. With the straight racing this covers races off 1000m -1200m, I like my runners to be drawn middle to wide and historically it is the best place to be on the track. A horse on these starts must be very strong over the distance as they are cruising at a lot higher tempo than races around a bend. Jockeys that have success at Flemington include Stephen Baster, Luke Currie and Regan Bayliss. Interestingly this is clearly the worst course for Damien Oliver who is going at just 4% winners to runners at Flemington in the past 12 months. Trainers who do their best work here are Robert Smerdon, Tony McEvoy and Chris Waller and with cup week fast approaching these trainers look to have strong hands and will be looking to continue their winning run here. The smallest of the 3 main metropolitan courses in Melbourne, 1805 metres in circumference and a straight of just over 170m. Definitely a specialist course with its tight turns and short straight some horses just don’t handle it. Personally I would be giving extra ticks to horses that have run well here in the past and give less weighting to a poor performance here going forward as it’s very unique in its design. The key aspect here is wanting to be on horses who race on pace and even more so if the rail position is out from the true position as it can turn into a bit of a mono rail. I strongly suggest watching closely the initial races to see if a strong pattern is developing that you can take advantage of. Jockeys who love the Valley are Mark Zahra, Brad Rawiller and Damien Lane who all perform best at the track compared to the other two main courses on the metro circuit. The trainer who performs best here is clearly Robbie Griffiths. The Waterhouse/Bott team are rarely far away when they travel to the Valley and Mick Price has his highest strike rate here. The Heath as it is known by is 2080m in circumference with a straight of 367m. One of the key features of the course is the climb up hill up on the back straight and that the track is almost a triangle in shape. Probably the best drainage track of the 3 main metro circuits which gives the punters the most confidence when betting on rain affected tracks. The traditional pattern for racing at Caulfield is horses off the fence when coming down the straight. However runners only as late as last weekend were greatly favoured by being on the fence. So keep an eye out if you can see a bias developing for the day. Trainers who go best at Caulfield are Ciaron Maher, Ellerton/Zahra combination and Danny O’Brien. Interestingly the trainers results are the most even here compared to the other 2 main courses in Melbourne. Of the hoops, Craig Williams does his best work here along with Damien Oliver and Dwayne Dunn who also have their best strike rates at this course. As I stated last week keeping records of bias on the day and how the track played with the different rail positions for all tracks will give you an insight into what to expect historically for each course. I would also suggest taking strong notice of the first few races to see if there is a bias in play and if you can exploit this for the coming races on the program.